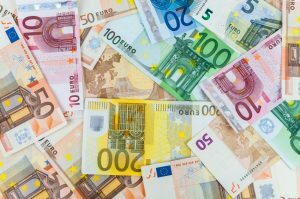 Home » Blog » Is the Euro Heading for Parity with U.S. Dollar? Is the Euro Heading for Parity with U.S. Dollar? Compared to the U.S. dollar, the euro has been on a rollercoaster ride for much of 2016. At the start of 2016, one euro would get you $1.08 U.S. Today, one euro will net you $1.12 U.S. Even though the U.S. economy is larger than the 28 member states that make up the eurozone, the euro tends to be a stronger currency because the region is more multinational and there is higher demand for the euro. And, as we have seen, central bank policies can manipulate a currency to make it more attractive for trade. Between 200 and 2002, the euro fell below the value of the greenback, but thanks to strong economic growth, the euro rebounded, and in July 2011, one euro was worth approximately $1.60 U.S. The strength of the euro against the U.S. dollar is in jeopardy as the economic conditions in the eurozone remain weak, with Germany, the region’s economic engine, stagnating. This comes at a time when the U.S. economy is beginning to show signs of sustainable economic growth. The other major economies in the eurozone are not running on all cylinders either. GDP in France, the second biggest economy in the eurozone came in at 1.3% in 2015 and is projected to stay the same in 2016 and 2017. GDP growth in Italy, the third largest economy, remains moribund, at 0.8% in 2015 and 2016 and just 0.9% in 2017. By comparison, the U.S. economy is expected to advance 1.6% in 2016 and pick up to 2.2% in 2017. Should economic growth in the euro area remain stagnant and the U.S. economy, while subdued, continue its upward trajectory, there is a good chance the euro and U.S. dollar will head to parity. The U.S. dollar could also become stronger than the euro in 2017. The U.S. dollar could also gain against a large number of other currencies. For investors with a strong understanding of Forex (currency) trading, near-term economic challenges in 2016 and 2017, will translate into a huge number of investing opportunities. The key is to understand how everything from the global economy, to elections, geopolitical tensions, commodity prices, interest rates, and even the weather, can affect currencies. Investors shouldn’t take currency trading lightly. Trading currencies is a lot like trading stocks: the more you understand, the better your chances are at developing a profitable trading strategy. Failing to understand the Forex market could result in a total loss of capital. Led by licensed, industry professionals, Learn-To-Trade.com is the leading and oldest provider of stock market trading courses in Canada. The Forex trading experts at Learn-To-Trade.com will teach you currency trading strategies and how to profit from the volatility of the global markets. You will also learn about a number of other trading strategies, including stock option trading, stock index trading, futures trading, commodities trading, and futures option trading. Learn-To-Trade.com also has a unique Lifetime Membership, which allows you to re-attend any part of the program, as often as you’d like. Reid, D., “Germany no longer set to drive growth in Europe: Morgan Stanley,” CNBC, September 20, 2016; https://www.cnbc.com/2016/09/20/germany-wont-drive-growth-in-europe-next-year-says-morgan-stanley.html.